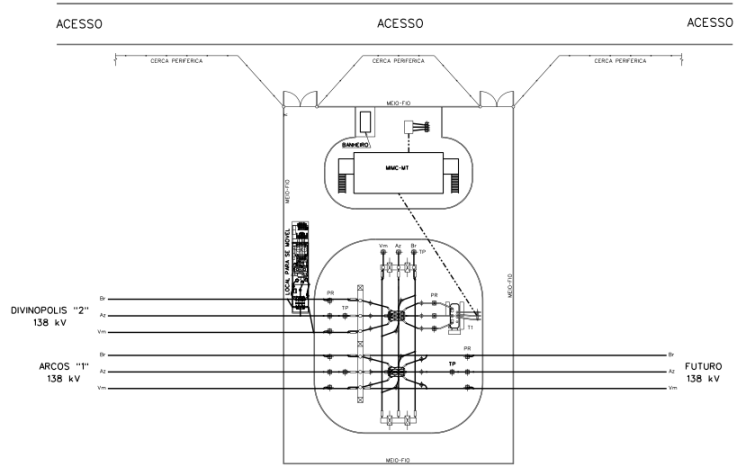 Vision Group has signed contract with CEMIG to supply, as a turnkey Project, a new substation, São Sebastião do Oeste. The high technology utilized, hybrid solution, is the combination between the advantages of GIS (gas insulated substation) with the simplicity of the air-insulated substation. 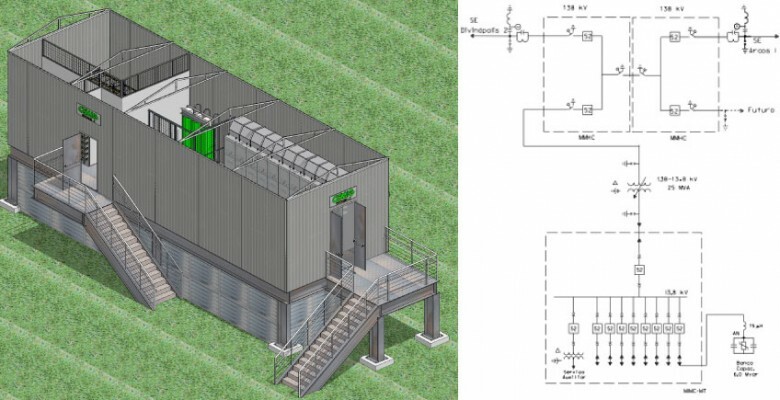 Also will be the first substation acquired by CEMIG with the solution Power House (modular electrical room assembled with metal structure), wherever will there be the equipment and systems responsible for control, distribution, monitoring and data acquisitions. These Vision group solutions will contribute to several advantages, as described next: reducing delivery times, reducing the size of the substation, low maintenance, commissioning, installation time reduction and increased reliability. The scope include, one GIS 145KV/40KA 2000A, transformer 138/13,8KV 25MVA, power house, MVSWG, digital system of protection and control IEC61850, capacitors bank 6MVAR, metering and billing panel, protection, acquisition and control panel, HVAC systems and emergency ( detection, alarm and fire fighting), civil works, electromechanical and electrical assembly, startup and commissioning of the entire system. This substation will be located at the São Sebastião do Oeste city near the MG-050 road and will be responsible for supply energy to important companies on the region. Cemig is one of the most solid and important groups in the electric energy segment in Brazil, as it owns or has stakes in 214 companies and 18 consortia. An open capital company controlled by the Government of the state of Minas Gerais and has 115,000 shareholders in 44 countries. Its shares are traded on the São Paulo, New York and Madrid stock exchanges.